I had no Christmas rant this year. Truthfully, I said about all I have to say on the subject five years ago. And if I were even more honest with myself, I’d admit that I’m not quite as big a humbug about the day as that post might suggest. It has its good points, to the extent that it provides an occasion for people who actually do like or love one another to get together and enjoy themselves (and I hope that happened for you). Now that the day has been interred for another year, it’s time to return to the unearthing of new underground metal. In this collection, and in another one I have planned for tomorrow, I’ve got music to recommend in a blackened vein — not all of it black metal, but all of it pleasingly dark nonetheless. In July I reviewed a two-song demo by a Spanish death metal band named Altarage, concluding as follows: “This is primitive, poisonous, electrifying music from a band that’s now squarely on my radar screen for the future.” They’ve now made a new appearance on the screen. A couple of days ago Iron Bonehead Productions started streaming a new Altarage song named “Womborus” from their debut full-length, NIHL. It explodes from the beginning in a meat-grinding maelstrom of violent sound. Eventually, the warped riffs and earth-shaking beats take shape in a pounding rhythm that seems intent on fracturing the listeners’ spines. This is an auspicious teaser for NIHL, which will be released next year by Iron Bonehead on vinyl, by Doomentia on CD, and by Sol y Nieve and Sentient Ruin on tape. NIHL follows a promo released earlier this year, which I reviewed here and which you should check out on Bandcamp if you know what’s good for you. P.S. I’ve now learned that the very cool cover art for NIHL was created by New Zealand’s Nick Keller, who we’ve praised here many times in the past for his work with other bands. About 10 days ago Sun & Moon Records released a new EP named An Ominous Landscape by the Venezuelan two-man black metal band Selbst (which follows an earlier demo and a couple of splits). The three songs on the EP are anchored by a jet-fueled and impressively acrobatic drum performance (by session drummer Carl Anthony Rojas) and thrumming bass lines that give them pulse-pounding power, while the impassioned, bestial vocals lend them an air of savagery. 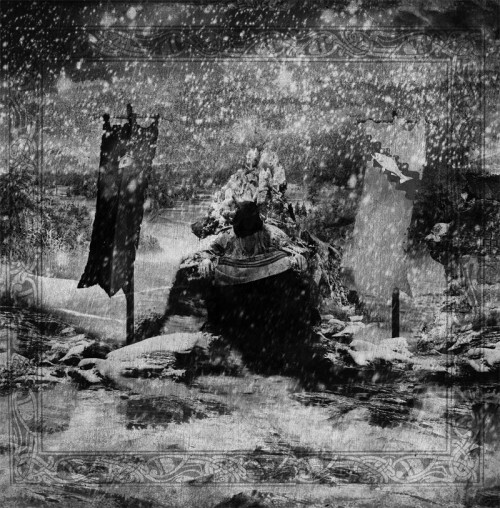 But the panoramic guitar melodies, which move in waves of sorrow and anguish, are what really make An Ominous Landscape stand out. On January 9, Naturmacht Productions will release Hyperborea, the third full-length by a Finnish band named Ancestors Blood (last mentioned at NCS here, back in 2013). Two of the songs can now be heard on Bandcamp — “Autumn (Metsäpirtti part II)” and “Rite of Passage“. The first of those has a post-punk vibe at the beginning, and it persists even as the song spreads its wings in a soaring, keyboard-enhanced flight of blackened, atmospheric metal, which also includes an excellent extended guitar solo as well as flesh-stripping vocals. “Rite of Passage” features sweeping ambient melodies, an attention-grabbing bass performance, another gripping guitar solo, and an overarching sense of melancholy. A beautiful track, which races as well as shimmers, and it’s as memorable as the first one. It appears that Hyperborea will also be released in Europe (or perhaps already has been) by Heidens Hart. Signal Rex has set February 5 as the release date for A Desolação, the second EP by a Portuguese band name Ocerco. 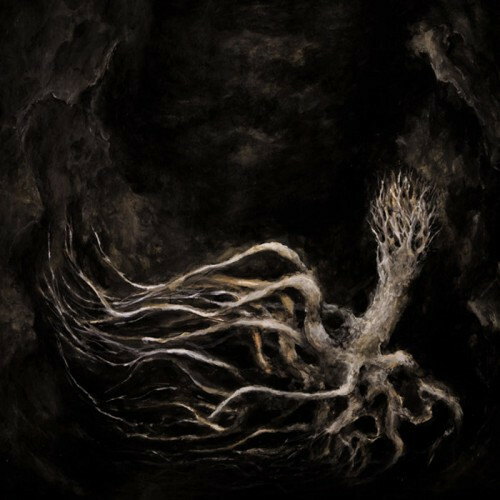 With passing comparisons to the likes of Wolves in the Throne Rome, Altar of Plagues, and Ash Borer, the label got me curious about the EP, and it is indeed very appealing. So far, you can listen to one song from A Desolação on Soundcloud and Bandcamp, a track named “O Colapso“. 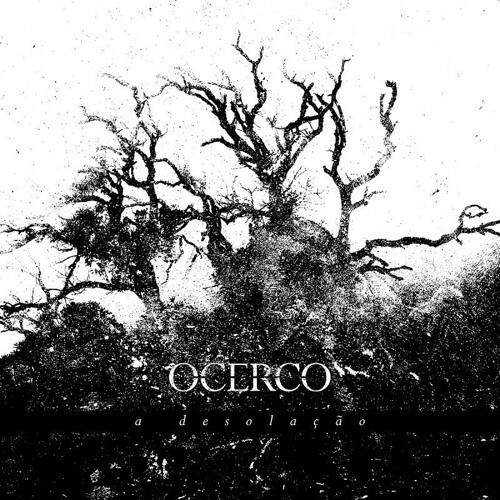 Ocerco introduce the song with a squall of noise and the ominous slashing of riffs and pounding of drums, and then proceed to ratchet the tension, as if a nest of vipers is coiling en masse for a strike. 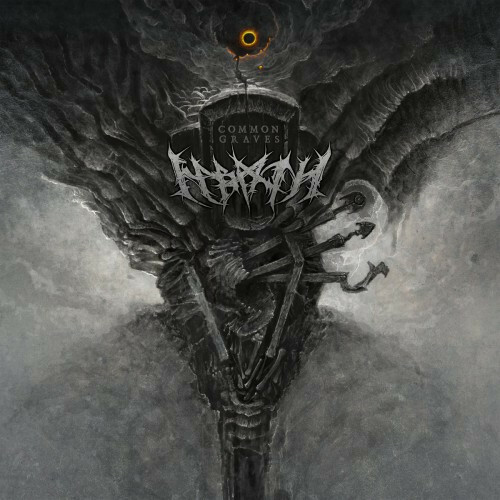 Coupled with the vocalist’s wrenching shrieks and the chime of dissonant guitar scales, the music’s bleak, harrowing atmosphere never really relents — nor loses its vice-like grip. To conclude today’s collection of new things, here’s a video from the band Nabaath, who appear to be Russian though they are now based in Ukraine. The video portrays a live performance of a song named “Iron In Your Throat” at Noizr Fest in Kyiv earlier this year. The song appears on the band’s 2015 album (their third), Common Graves. The video is an engrossing thing to watch, in part because it features a bloody interpretive dance by a performer named Mariya KarMa. But the music is equally engrossing — both slow and serpentine, and frenzied and barbaric. The vocals are terrifying, the grim melodies are penetrating and have staying power — in short it’s an intense song that should lead you on a path to the rest of the album. To hear two more songs from Common Graves, use the Bandcamp link below. That Nabaath video is very cool. Need to check them out. 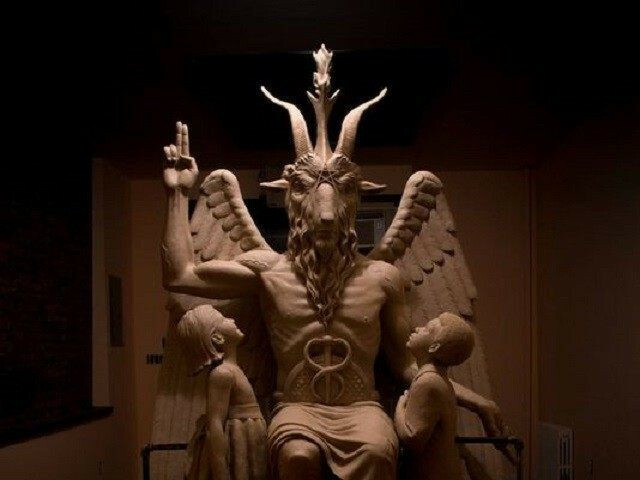 Loving the new altarage,that statue!! I need one for my front yard. It’s a heart-warming piece of art, perfect for the holidays, that no doubt would be admired by all the neighbors and their kids. Psyched for that Ancestors Blood release. Selbst is cool too. That Selbst wasn’t half bad, have had it spinning in the background since yesterday. Glad you’re enjoying it. Looks like my second round-up will have to wait until tomorrow, but I hope you’ll make further discoveries in that one. 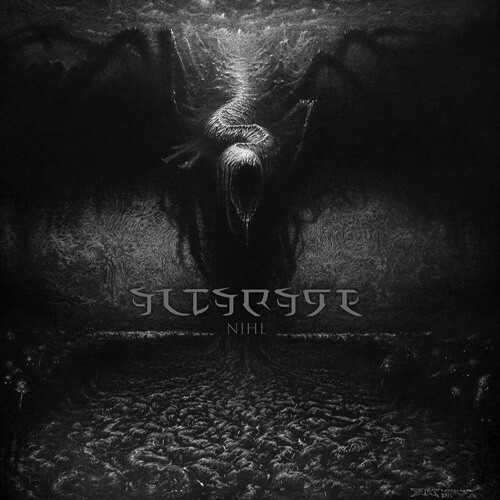 I like the artwork for Altarage and the song is structured very well, dark atmosphere and very aggressive, sounds very impassioned and Selbst are interesting too along with Nabaath. The Altarage artwork is indeed an eye-catcher. I’m happy you’re liking them, as well as Selbst and Nabaath. And now I know that New Zealand’s super-talented Nick Keller created the Altarage artwork. First Christmas by myself, and I must say, the music was a lot better than usual. Good. That is definitely one of the pluses of spending Christmas by yourself. I spent it with others, and was not allowed to contribute to the playlist.